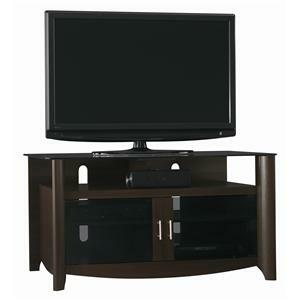 Make a strong statement with in your living room or family room with the Mansfield TV Stand. Its classic design, rich finish and elegant sliding doors bring style and refinement to your home entertainment experience. Easy to assemble without tools and easy to fit into a traditional or transitional decor, you will enjoy this versatile piece. 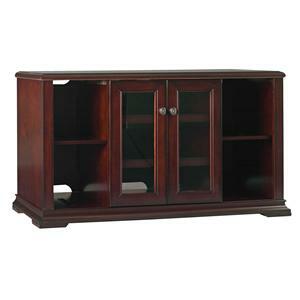 It features sliding doors that come with three interchangeable panel options: wood grain, glass, and speaker fabric. The taller height is a great choice in a larger room or for gaming. 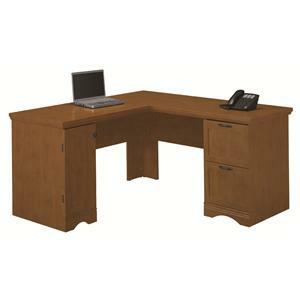 This lovely L-shape desk will be a great addition to your home office décor. 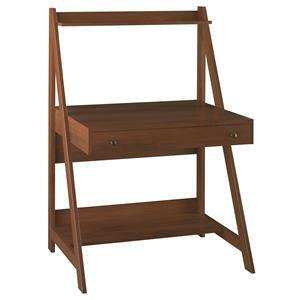 It features a CPU storage area with an adjustable shelf and two letter-size file drawers for storage purposes. The top of the desk has plenty of space for a laptop, a telephone and more. This simple and beautiful piece has been bathed in a lovely tea maple finish that will blend into any home style. Make this piece a part of your living space today. Cozy your workspace into this corner desk from Series A. Deep enough to set up a desktop computer, this desk will bring function to what can be awkward corner spaces. Computer wire can then be contained with the desktop and leg grommets. The 1-inch thick top features a Diamond Coat that protects the surface from scratches and stains, allowing you to work without worrying about maintenance. 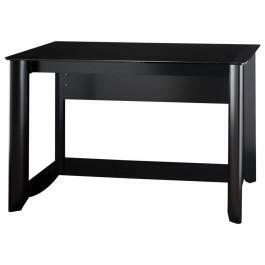 The Wheaton Reversible Corner Desk makes a great choice for a modern workspace with a casual country appeal with its two-tone Antique Black/Hansen Che finish. The desk's compact footprint is an efficient option where space is at a premium. With its reversible configuration, the desk can be configured with a pedestal can be placed on the right or left side of the desk for a right-handed or left-handed workstation. Maximize your home office space with this innovative corner desk and hutch piece that offers plenty of space to get work done. A built-in charging station is perfect for keeping devices like phones, cameras and mp3 players powered up and close at hand. The open cubby can be used for standard storage (papers, books, etc.) or to house devices such as routers and modems as the back panel is ventilated for efficient cooling. The bottom file drawer accommodates letter-, legal- and A4-sized files. This distinct contemporary front desk will be a magnificent addition to your home office. It features desktop and modesty panel grommets for wire access, includes durable edge banding that protects the desk from bumps and collisions, and has a durable thermally-fused laminate surface that resists scratches and stains. 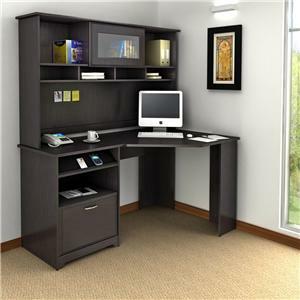 In addition, this front desk accepts a right or left return as well as a keyboard shelf or pencil drawer. Functional style embodies this absolutely wonderful bow front desk shell. Aero TV Stand is as stylish as it is functional, with a sleek design, tinted glass doors and top shelf, and plenty of room for all your components. The casual contemporary styling includes a durable gray tinted glass top shelf with an open bay that has room for components or a sound bar. The shaped tapered legs, curved front apron, and dark Andora finish complete the stylish look. The bottom bays feature adjustable shelves and tinted glass doors while a solid back panel provides stability and hides wires from view. This stylish audio tower will create a striking contemporary environment in your living room. It features lovely cherry veneer trimming and tempered glass shelves that rest on vibration-dampening rubber pads for enhanced sound quality. The levelers adjust for uneven flooring and the wire passage through the back panel keeps cords and cables hidden and organized. The piece is GREENGUARD Indoor Air Quality Certified®. 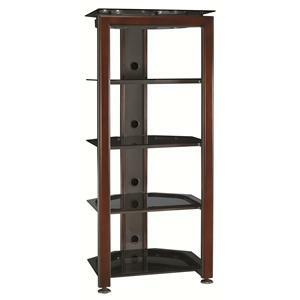 Utilize this audio tower for decorative pieces and audio equipment. 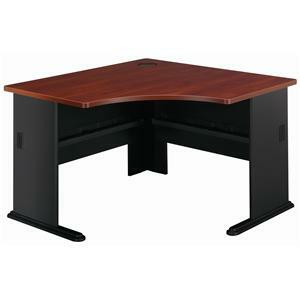 This simple and sleek desk offers a classic black finish and a tinted glass top. A spacious bottom shelf offers a great place for storing books, papers and personal items, and is recessed to allow room for feet when seated. 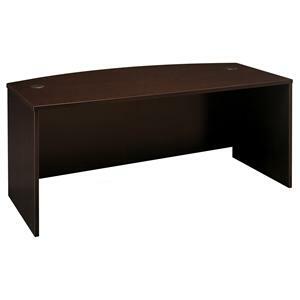 The desk features attractive, elliptical quarter turned legs for versatile, contemporary style. The Alamosa Ladder Desk is a simple, practical workspace that takes up a minimum of space, but has more than enough to keep you organized and working efficiently. 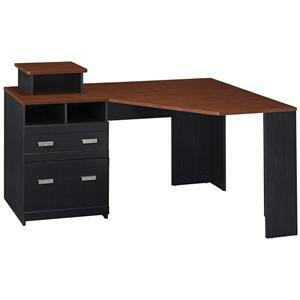 This elegant, functional desk is perfect for small spaces but offers an expansive work surface. The large pull-out drawer has plenty of room for supplies, a bottom shelf that can accommodate printer and paper, and a top shelf to hold books and speakers. This desk is perfect for use with a laptop computer and a desktop computer.